Troubleshoot your low water pressure problems with these helpful fixes that increase force and improve flow, so you and your guests can enjoy the holidays without a hitch. Starting or ending a long day with a weak shower is deeply unsatisfying. Still, when other around-the-house fixes rank as higher priorities, sometimes you just learn to live with poor water pressure. Even though you may tolerate a trickle, you should probably treat friends and family eager to visit for a long weekend to something better. Don’t let low water pressure ruin your reputation as the host with the most! 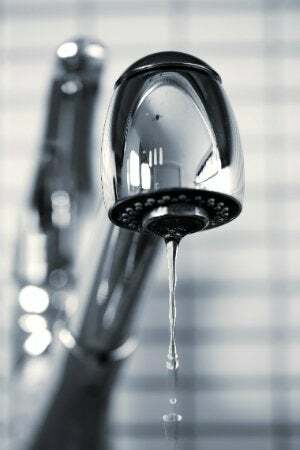 Resolve to finally achieve a healthy flow of water—for you and all of your future houseguests—by trying any of the following solutions, ranging from quick fixes to extensive projects. First things first: Contact your neighbors to see if they are experiencing a similar problem. If so, the issue may be with the city’s municipal water system. Just like your home’s piping, these systems are subject to leaks, clogs, buildup, and corrosion. Before calling your local provider, you can test the city water pressure yourself using a test gauge with a hose connection. Simply screw the device onto a hose faucet and turn on the tap, having first made sure that the rest of your home’s faucets and any water-using appliances (for example, the dishwasher and washing machine) are turned off. According to experts, a 45 or 50 psi is on the low side, 60 is a good reading, and 80 or above is too high. After you have either ruled out or confirmed a citywide pressure problem, you can decide what steps to take next. Over time, your pipes can develop a buildup of mineral deposits. 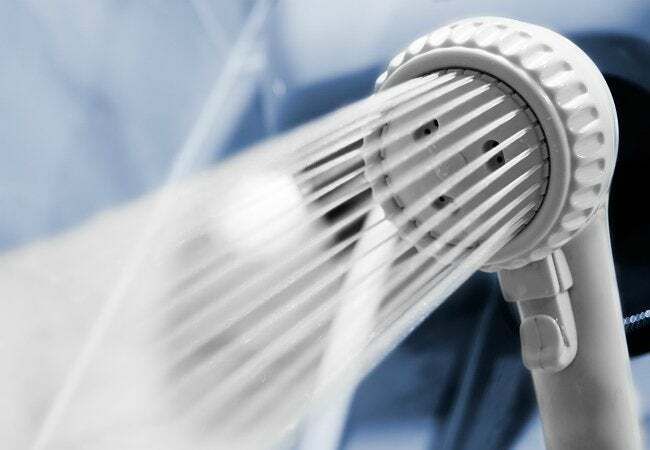 In extreme cases, the diameter of the pipes decreases until they become clogged, preventing the water from freely flowing through, and leaving you with a pitiful drip in the shower or a paltry trickle from the faucet. While extreme cases can require that you replace sections of pipe, you can at least take care of clogs at your system’s exit points by dissolving any minerals that are gumming up the works inside your faucet fixtures and shower heads. Simply place an open zip-lock bag filled with vinegar over your shower head or faucet, tie it in place with some string, and leave it overnight to soak. Rinse off your cleaned fittings the next morning, and put your bathroom back together. If this trick doesn’t work and you believe you have a more severe mineral clog inside the pipes, call in a plumber to assess and correct the problem. The next solution requires little more than a few minutes of investigative work. Your house has a main water valve, usually located near the meter, which controls the flow of water into your home’s pipes. Find the valve and check to see if it’s completely open. Sometimes the valve gets accidentally turned during routine repairs and maintenance without the homeowner’s knowledge. If, for example, your drop in pressure coincides with recent work you’ve had done on your home, your contractor may have turned off the main water supply and at the end of the job only partially reopened the valve. The result: restricted flow and reduced pressure. Fortunately, the valve is easy for you to adjust yourself; calling in a plumber is unnecessary. Many homes that rely on public water have a regulator, located either at the meter or where the service line enters the home, that ensures that water doesn’t rush through the pipes. When the regulator goes bad, the pressure gradually drops, causing a loss in velocity that affects some or all of the fixtures in your home. To solve the problem, reset or replace this part, or hire a plumber to do the work for you. Cracked or damaged pipes may result in water leaks that siphon off water as it travels through your pipes, leaving you with just a trickle at the tap. To determine if your main pipe has any damage, make sure all faucets indoors and out are shut off, then turn off the water valve in your home and write down the number that appears on your water meter. Return in two hours and take the meter reading again. An increased reading is a sign of a leak—and a sign that it may be time to call in a professional. Galvanized steel pipes are particularly vulnerable to corrosion over time, so if you decide to upgrade, choose superior plastic or copper pipes. You should feel no pressure to DIY this particular fix: Replacing pipes requires the skills of a professional plumber. While it’s a costly project, pipe replacement will do more than improve your showering experience. In addition to boosting pressure and minimizing the chance of future leaks, swapping out old plumbing for new can reduce the risk that corrosives will contaminate your drinking water, resulting in better quality H2O. It may turn out that the problem isn’t you, it’s the neighborhood. That’s no surprise: Gravity and distance are two main factors that negatively impact water pressure. If your household water supply is forced to travel uphill or over a great distance from the municipal water source, its pressure may be hindered. To increase the flow rate of the water when it reaches your home, consider installing a water pressure booster pump. Just be aware that this handy solution is a bit of an investment: The pump runs about $300 at your local home improvement store, and this price doesn’t include the cost of installation (best left to a master plumber) and the potential increase in your monthly electricity bill.